1. Which street has a library? 3. Which street has a school? 7. Which street has a fire station? 8. Which street has a hospital? 10. 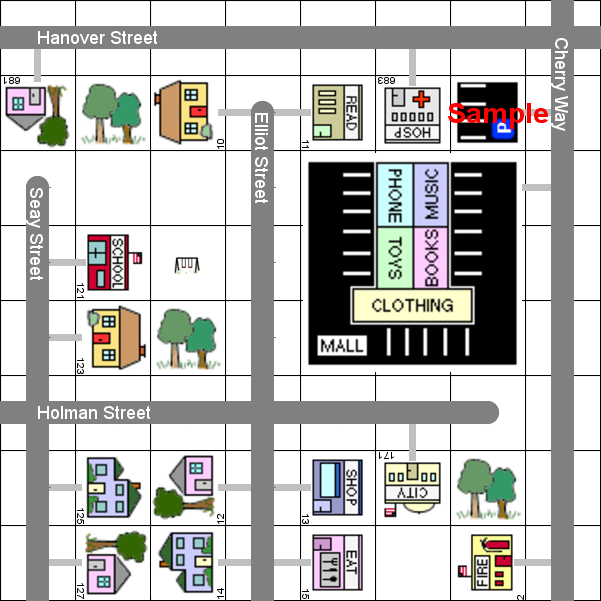 Which street has a city hall? 11. Which street has a store? 12. Which street has a restaurant?